Nutritious – A spoonful of yummy! 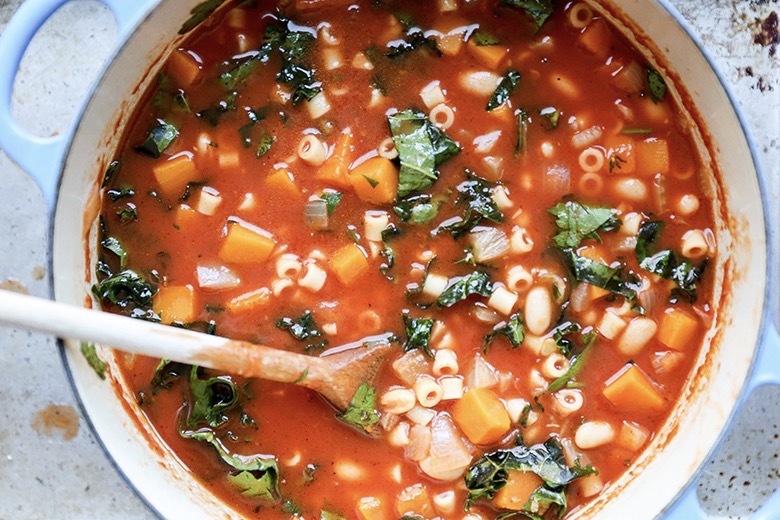 A hearty, nutritious soup is perfect for the bitter winter months and is wonderful for soothing sore throats and colds. I picked this recipe up when I was working as a cook in a tourist farmhouse kitchen. This was their staple soup recipe and was always popular with the customers. It’s a very easy recipe and the amounts of the ingredients I have given are just a rule of thumb and can be varied to what you have in the larder! 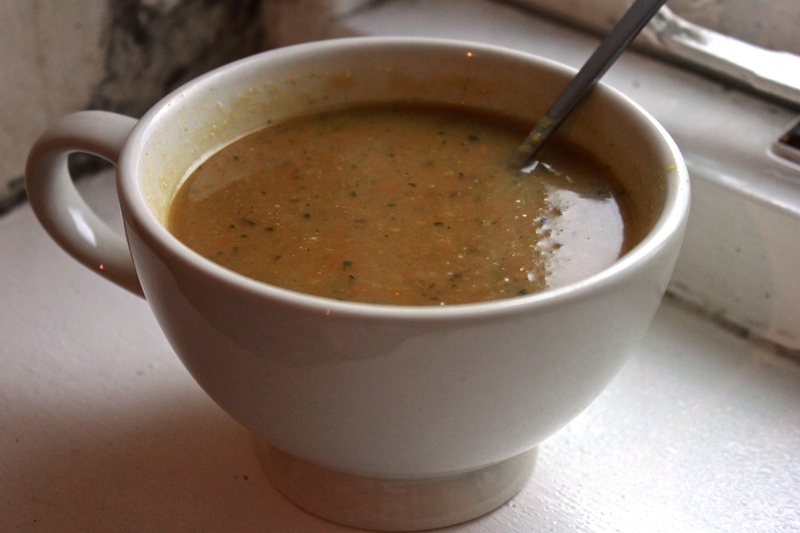 This recipe tastes great as a broth but I also like to blend it to create a thicker, fuller flavoured soup. Chop up all of the vegetables into medium sized chunks and throw into a large pan. Fry gently in a little butter until just softened. Then pour in the chicken stock until it just covers the vegetables and add the mixed spice and celery salt. Cover and leave on a low heat for about 30 minutes to an hour, stirring every now and again. Once all the vegetables are soft, taste and season with salt and pepper. As I said above you can either serve this straight away or blend it before you do so. I would recommend removing a little of the stock before you do this, just to make sure that once blended it is not too thin (you can always add the stock back in once blended). This soup is wonderful all year round but there’s something so cosy and comforting about a bowlful of soup when there’s a frost outside!